Implementing the basics of search engine optimization are great for just about any dental practice. However, there are some rare instances where you may not need to. Before you opt against starting an SEO campaign, you should ensure that you are in the unique minority of dentist that do not have a need for search engine optimization. 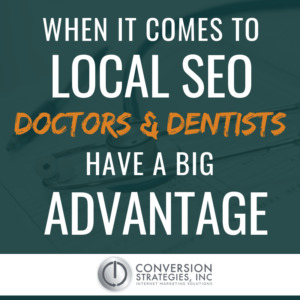 In this article, you will learn what type of dentist can benefit from implementing a robust SEO dental strategy, and when it may not be as necessary for your practice. How Will I Know That I Need SEO For My Dental Practice? Figuring out your marketing needs is tantamount in deciding if you should begin search engine optimization efforts. Below, we have a number of signs that indicate that utilizing dentist SEO is the right option for you. You own a new practice: Dentist that are at the beginning of their professional careers should ensure that they are easy to find when potential patients are searching for their services. You have competition in your city: If you have many other dentist in your area, then it is likely that they are investing in dental SEO services or implementing them in house. Interested in growing your practice long term: While SEO does not offer immediate ROI, it does garner one of the greatest returns on investment in the long haul. Experiencing a decrease in new customers: Eventually, many of your patients will come from referrals. If you have great reviews and offer excellent service, but are still not getting enough new customers, you are more than likely not showing up high in search results. You specialize: Perhaps your specialty is teeth whitening. If so, you will want to broadcast what differentiates your teeth whitening services and results from other dental offices. SEO can help to build confidence in potential customers regarding your ability and credibility. Are There Any Situations that SEO is not Needed? In short, rarely. However there are unique practices that do not have a need for online dentist marketing services. For practitioners that are closing their business soon, SEO would be counterproductive. Also, dental offices that are in need of a “quick fix,” may be better served by using pay per click campaigns on google or facebook. These are effective short-term strategies, but not great in the long run as they can become very expensive. 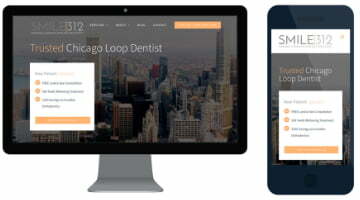 Lastly, dental offices that organically implement best dental SEO practices such as creating relevant content, maintaining a user friendly website, updating online directories, inserting appropriate backlinks, etc. may find it more advantageous to invest in other marketing efforts. The cost of a high level SEO manager is more than $60,000 per year. Most dental practices are not able to pay this type of salary. The only other options are to pay someone considerably less or have your office manager give dental SEO a try in their free time. Both of these roads can lead to ineffective marketing efforts if done incorrectly, unless they are highly skilled individuals with regard to search engine optimization. SEO marketing companies will typically cost significantly less than hiring in house and will provide you with relevant resources that will help to bolster your overall dental marketing efforts. However, they can sometimes offer “cookie cutter” solutions. There is not a wrong decision here, your choice should be dependent upon your needs and expected outcomes. Should your dental practice switch SEO companies?